Look at this purse style, Fanny packs are officially trending. Yes, you read that right. The hands-free bag that for years has signaled an out-of-place tacky tourist is now all over runways and slung around the hips of some of the world’s most stylish people. The fanny pack—or “belt bag”, as it’s been chicly rebranded—has slowly but surely won over the hearts of fashion lovers everywhere. Photo by: KGC-146/STAR MAX/IPx 2017 9/25/17 Bella Hadid is seen in New York City. Photo by: KGC-146/STAR MAX/IPx 2017 7/31/17 Kendall Jenner is seen in New York City. No matter how you wear a belt bag, I urge you to give this trend a chance! 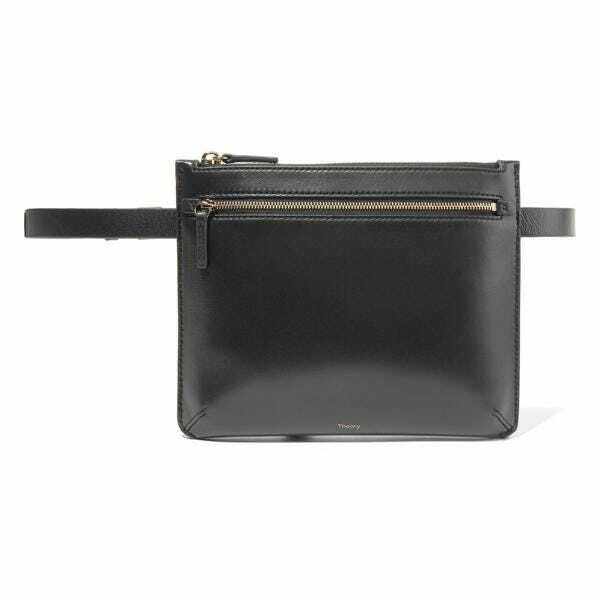 Keep it sleek and minimal with Theory’s classic belt bag in black leather. The thin strap is great and not too overbearing, while the rectangular shape is a chic update on the usual fanny pack style. 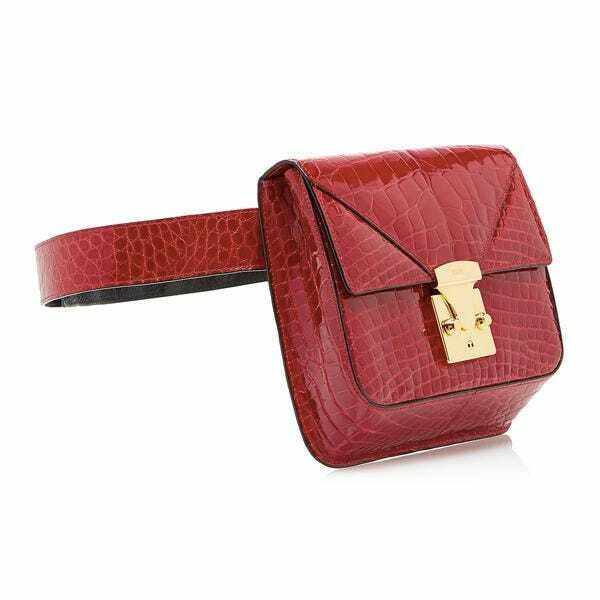 There’s nothing tacky about this luxe Stalvey belt bag made of bright red alligator skin. Featuring gold hardware and just big enough to fit all the essentials, this purse is 100% splurge-worthy. Plus, the adjustable strap allows you to wear it both as a belt bag and as a shoulder bag, making it two times more versatile. Rachel Comey’s belt bag is perfect for when you just need a few essentials—phone, keys, wallet, and maybe a lipstick or two. Crafted in white crocodile-embossed leather, the texture is enough to make a huge statement. 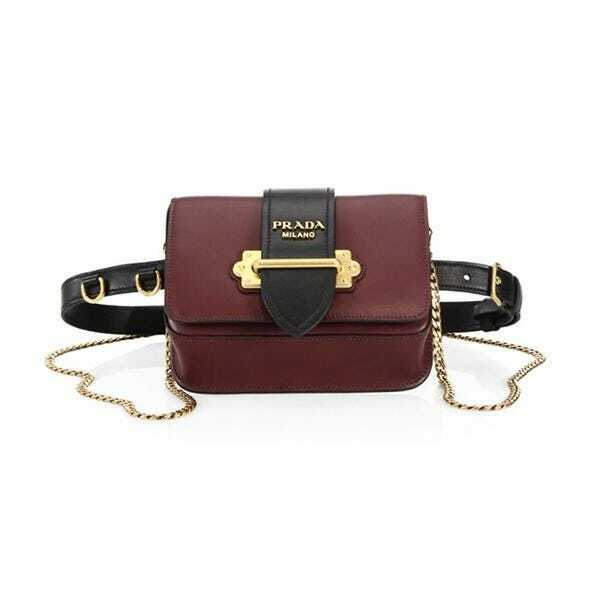 If you’re in need of a purse with unique, eye-catching details, this Prada belt bag is perfect for you! Featuring an ornate trunk closure and luxurious burgundy velvet, this bag will stun with any autumnal ensemble. 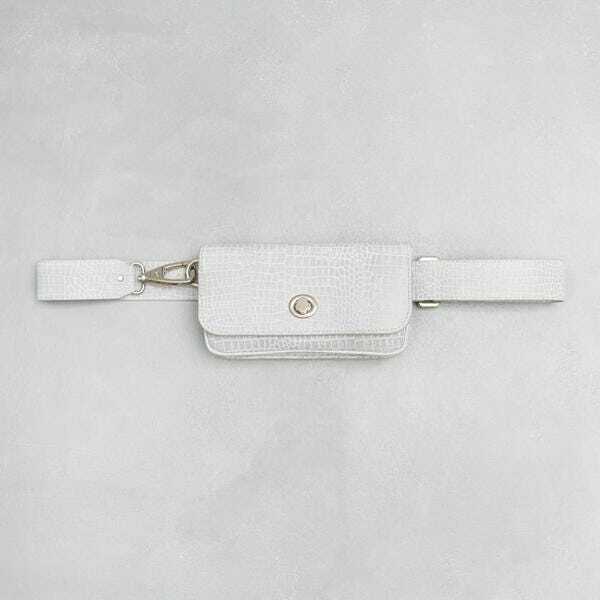 It comes with a removable belt strap and a removable chain shoulder strap, allowing you to wear it either as a belt bag or as a shoulder bag depending on the occasion. When one purse isn’t enough, go for this 3 in 1 belt style from Vere Verto, in collaboration with Sissy Sainte-Marie. Featuring rectangular, square, and circle pouches, you can keep all your items organized. And if you don’t feel like wearing all three shapes at once, you can slide them off and wear one at a time, or use them sans belt as clutches. Talk about pretty in pink! Miu Miu’s girly style is perfect for rocking the belt bag trend with plenty of femininity. In ever-popular millennial pink and decorated with a pearl and crystal-adorned closure, wear this purse as either a belt bag or a shoulder bag. It’s never too early to start prepping for festival season! MM6 Maison Margiela’s brilliant fuchsia purse will pack a bright statement at Coachella or Governor’s Ball. It’s also big enough to fit all your essentials, allowing you to go hands-free without sacrificing storage space in your bag. 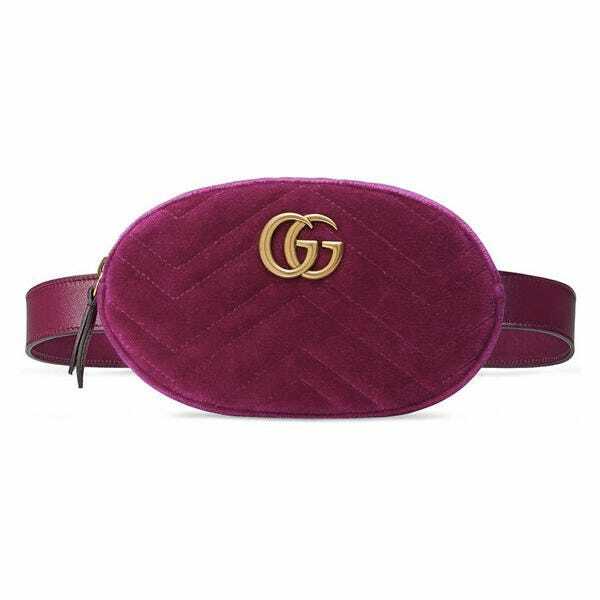 Gucci is in part to thank (or blame, depending on your feelings on the trend) for the belt bag resurgence, and they have dozens of covetable styles available. Their maroon velvet Marmont style, however, is the one to wear this fall. Jewel tones are always well-suited for autumn, as is velvet, and the chevron texturing is a great added touch.